Cup double follows hot on the heels of promotion. 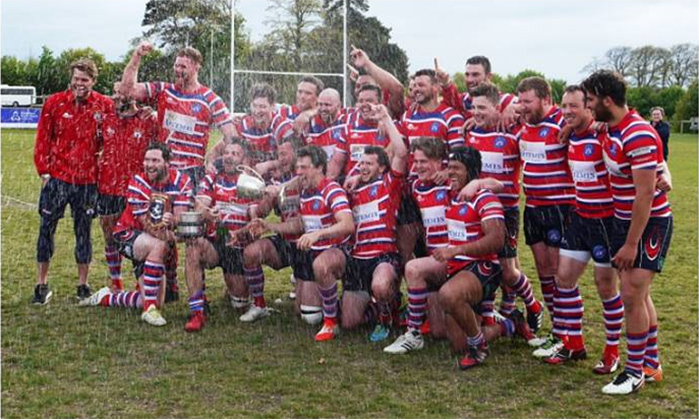 Tonbridge Juddians 1st XV ended the season as Champions and will look forward to playing rugby in the National 2 South next season for the first time. Last Sunday also saw a Cup double for the club with the 1st XV winning the Kent Cup Final against Sidcup and the U17s victorious over Lymm in the National Coup. Castle is a proud TJ’s sponsor – huge congratulations from one winning team to another!